Friday, April 26, 2019 9:30-11:30 a.m. The Canadian National Institute for the Blind (CNIB) was founded in 1918, driven to some extent by the returning WWI veterans who had been blinded, and by the aftermath of the Halifax explosion. One hundred years of accomplishments will be briefly described through the lens of advocacy and support for equality, and access to information. Jane Beaumont joined the CNIB Library Board in 1998 and served as chair from 2004-2007. Joining the National Board in 2005, she was Chair of the National Board from 2011-2014. 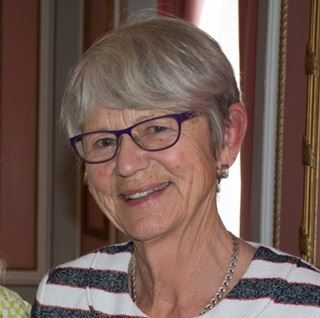 Ms. Beaumont has been active, for 20 years, in the promotion of equitable access to library services for persons with print disabilities and the creation of a public/private partnership involving all levels of government, public libraries and CNIB as key stakeholders. The CNIB Centenary in 2018 was the catalyst for That All May Read a special online exhibit celebrating CNIB’s unwavering support for literacy, reading, and access to information. As the volunteer CNIB Archivist Jane envisioned and managed this project and continues to serve as the Institute’s archivist. Ms. Beaumont’s professional career as a librarian began in England and continued at Carleton University Library, where she also completed a B.Sc. in Computer Science. After management positions at Utlas International, a groundbreaking company in the field of shared database and cataloguing services for libraries, she founded Beaumont and Associates Inc. As library and information systems consultants, the Company had clients in all sectors of the library community, including the CNIB Library, and in every province and territory across the Canada.